If you suspect the presence of asbestos in your home and you live in Ohio, then it’s important to familiarize yourself with Ohio asbestos rules. Whether you are still waiting for testing results to come back or whether you have confirmed asbestos in your home and are waiting for a professional remediation company to come and take care of it, it’s still important for you to know what Ohio state law says about asbestos management. Ohio asbestos rules apply to the handling, removal, and disposal of asbestos in the state of Ohio. Even if you are hiring someone else to remove asbestos in your home it’s prudent to know what Ohio law says about asbestos so that you can keep your family safe before, during, and after the removal process. In the state of Ohio, anyone taking part in asbestos abatement must apply for certification or licensure with the state’s director of health. This goes for businesses as well as individuals, those removing asbestos, those overseeing the removal of asbestos, and those coordinating the removal of asbestos too. Anyone who is responsible for inspecting, identifying, detecting, or assessing asbestos-containing materials or suspect asbestos-containing materials, determining appropriate response actions, or preparing asbestos management plans must be certified as an asbestos hazard evaluation specialist. An individual who is licensed or certified in asbestos abatement in the state of Ohio may have their license denied, suspended, or revoked for a number of reasons including deceiving authorities or committing fraud to obtain a license, failure to meet the necessary qualifications for an asbestos abatement license, or violation or threat of violation of any legal provisions set by the federal National Emission Standard for Hazardous Air Pollutants, or federal occupational safety and health administration regulations relating to asbestos. A licensed or certified asbestos abatement professional is only liable for injuries that occur as a result of their negligence. Asbestos removal licenses must be renewed and before they can be renewed, the individual must complete a renewal training course. This is designed to maintain safety standards and keep contractors up to date with recent changes in asbestos removal technology and practice. In Ohio, the owner of a property can be held liable for injuries resulting from exposure to asbestos on their property but liability depends on when exposure took place and a preponderance of evidence presented by the plaintiff. In Ohio, all waste material containing asbestos must be disposed of in a timely manner at a designated waste disposal center. air outside during the collection, processing, packaging, transporting, or deposition of waste material. This shall be achieved by following specific protocols set out by the Ohio EPA. If asbestos-containing waste materials are to be sealed in plastic bags, those bags must have a thickness of at least 0.006 inch. A second clean, leak-tight plastic bag of the same thickness must then be used to cover the first bag completely. control and waste treatment method. When asbestos-contaminated material is taken offsite for disposal, the generator of the waste or the operator of the waste disposal site must keep pristine waste disposal records that comply with state regulations. A copy of waste disposal records must be furnished to the waste generator by the operator of the waste disposal site no more than 30 days post-delivery. Anyone generating asbestos-contaminated waste must mark vehicles being used to transport asbestos-containing waste material during the periods when they are loading and unloading contaminated waste. These marks must be posted so that the signs are visible to everyone. 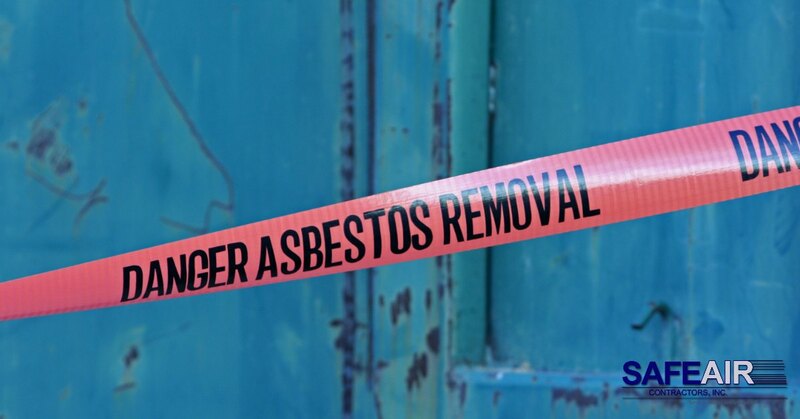 In addition to state-specific regulations governing asbestos in Ohio, the federal government and their controlled agencies have their own laws in place to oversee asbestos removal as well. If you are interested in learning more about federal regulations governing interaction with asbestos-contaminated material you can find more information on the EPA’s website here. Need a Trained and Experienced Ohio Asbestos Removal Company? 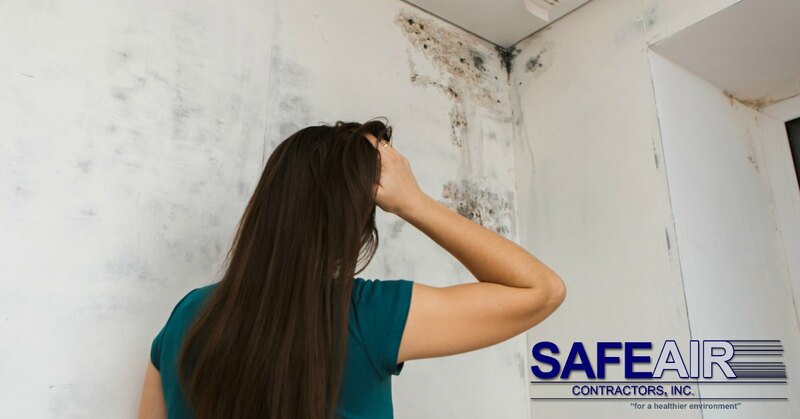 If you’re looking for a trained, experienced Ohio asbestos removal company who are familiar with all of the Ohio asbestos rules, SafeAir Contractors can help. All you need to do is pick up the phone and give us a call at 440-639-1191 to make a consultation appointment. We will talk you through the remediation process and answer any questions that you may have before beginning your asbestos abatement project!